In the Resilience Handbook, I recommend going on regular adventures. Travel by a method you don’t normally use, go to somewhere different. It doesn’t have to be exotic – a week in a campsite is just as good for your resilience. As a solo traveller, I prefer to use hostels. They’re cheap, you can self-cater, and you meet interesting people in the communal areas. The confidence I gained by hostelling around Britain enables me to explore further afield on a limited budget. I did some research and packed appropriate clothes; there was very little I didn’t actually use. Even an 18 kilo suitcase was a serious handicap on public transport though; it may be worth while paying the extra to fly from a closer airport next time. Why Iceland? With its renewable energy and reforestation programme, it’s an ideal destination for the resilience explorer! I’ve got extensive notes to go over, and a return trip is already on the cards. I never did get a recipe for putrefied shark – but I know the history behind it now. My kind of tour bus! Off into the wilds for the ‘Game of Thrones’ tour. 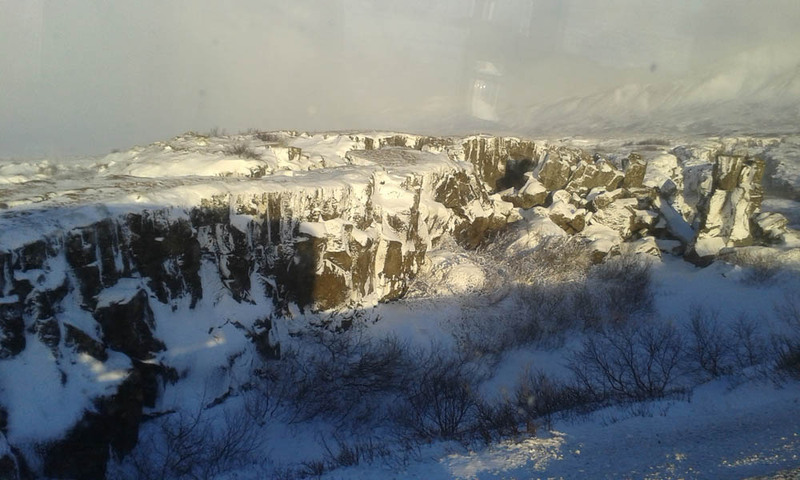 Winter driving in Iceland is challenging; use tours, not car rental. The landscape north of Reykjavik from the tour bus – there was a strong wind that day, whipping the powdery snow up into a white out later on! 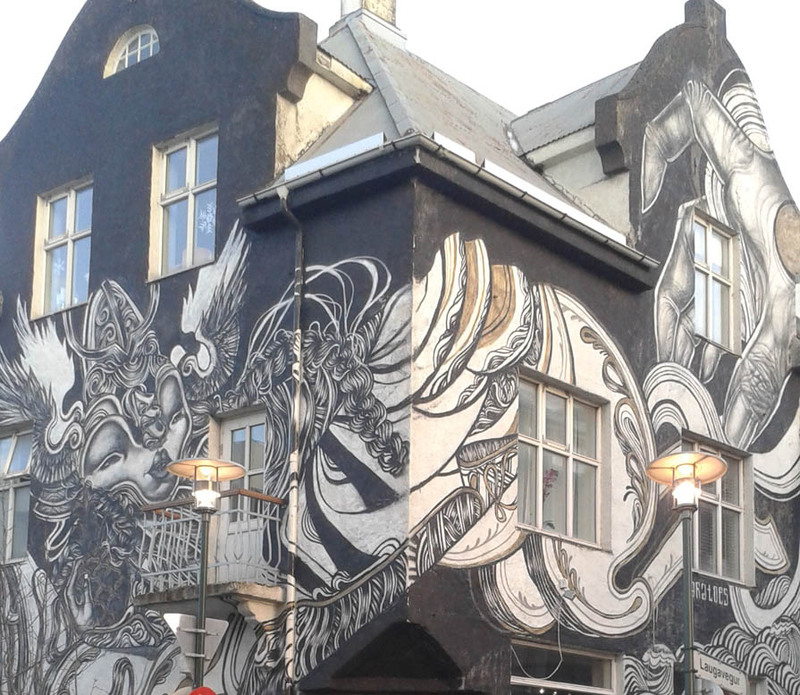 Many ordinary house walls in Reykjavik are adorned with amazing murals – the streets are full of random sculptures as well. 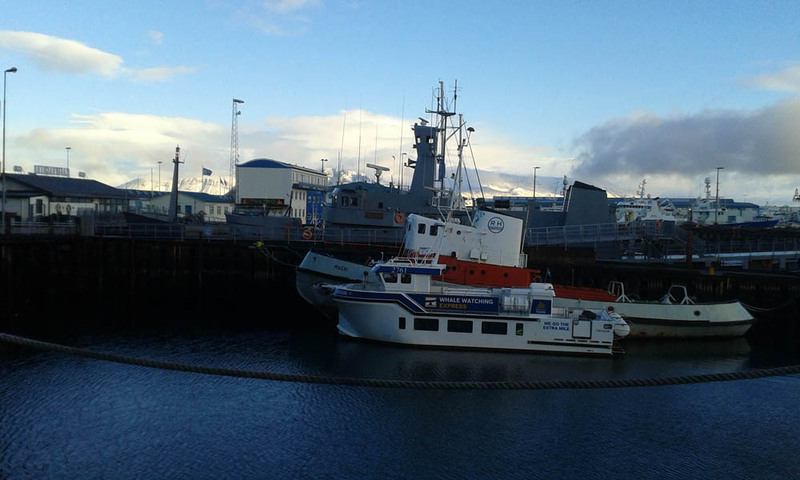 I stayed at Reykjavik City Hostel which is a little out of town but well serviced by the 14 bus from across the road, which takes you all the way to the Old Harbour (Grandi stop the return journey is headed Listabraut). It’s right next to one of the best heated pools in town, Laugardalslaug and there’s a lovely park behind it. 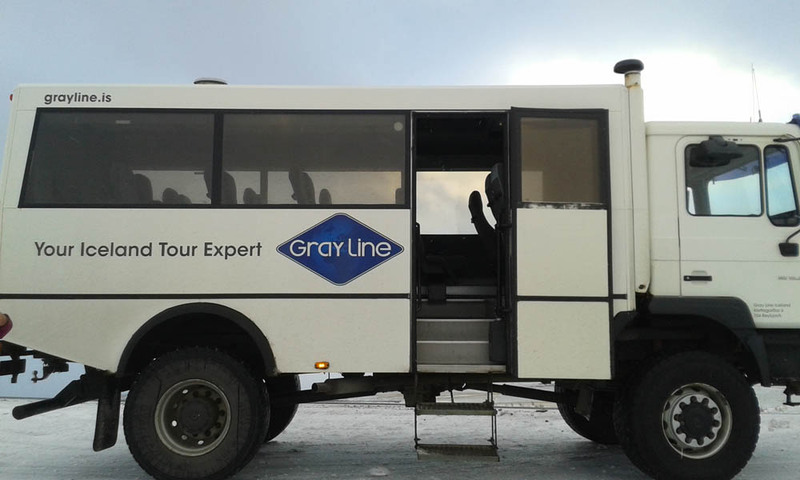 The Game of Thrones tour is run by Grayline. All the tours, and the airport bus, collect you from right outside the hostel. This was a relief as, outside the main town, the suburban roads are quite exposed for the walker. It takes less than an hour to walk to the other side of the town centre from the hostel though. Another good day’s winter wander – keep in mind you have only 6 hours of daylight before the cold dark sets in! – is Oskjuhlid wooded park. The number 5 bus takes you to the artificial beach with hot tub at Nautholl, then you can wander past the site of the new Asatru heathen temple and head upwards through the dwarf birch and evergreens to the Perlan at the hill top. It’s a challenge – the paths are often icy and you can’t see the landmark building for the trees – but the view over town is wonderful and the cafe quite reasonably priced. An 18 bus goes from the main road to the Hlemmur – bus station – where you can catch the number 14 again.